Pierre FRAPIN and his descendants. Colour : Mahogany, copper highlights. 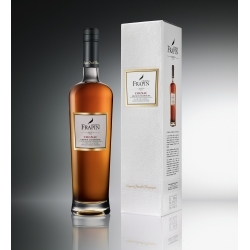 Bouquet : Very sweet, complex and subtle aromas of old port mixed with the scent of wooden cigar boxes typical of old Grande Champagne cognacs, which appears after a very long ageing. Concentrated aromas. Palate : An outstanding finish in which the flavours flow together with subtlety and complexity Strictly limited edition jewel carafes, individually numbered, presented in a special gift box. 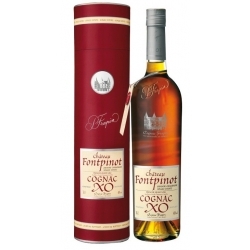 XO Chateau de Fontpinot - Very long in the mouth, notes of candied apricots, of orange and flavours of old Port as well as the famous ' Rancio' (walnut, hazelnut, dried fruits mixed with dried flowers (narcissus and hyacinth) flavours). 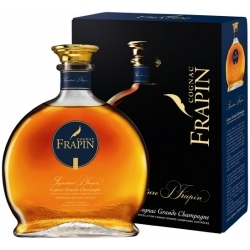 Cognac Frapin Chateau de Fontpinot Vintage 1991 (20 years old) Grande Champagne : This Trésor du Château 1991 vintage, the mostrecent vintage released by Cognac Frapin, expresses not only the patina of a 20 year old cognac but also the capacity of a unique cognacto magnify the intimacy of shared moments. 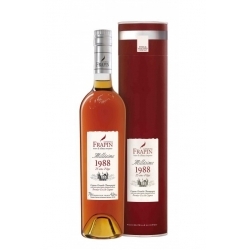 Cognac Frapin Chateau de Fontpinot Vintage 1989 (20 years old) Grande Champagne first cru of the Cognac region, harvested exclusively at Château de Fontpinot in 1989, the hottest year of the decade. 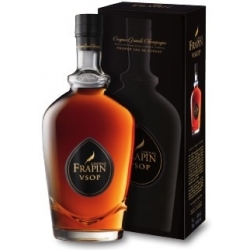 Cognac Frapin 1270 - Where all begins… Exclusively harvested, distilled over lees and aged at the Estate, Frapin 1270 is the perfect introduction before discovering the entire range. 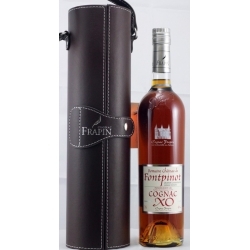 Located in the centre of the city of Cognac, the Cognathèque, an independent shop, sells more than 100 brands of the world’s finest brandy, providing a broad cross-section of the best the region produces. 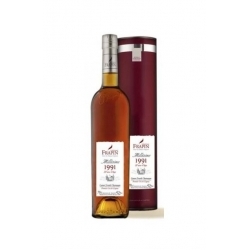 You can choose from among 600 Cognacs and 50 Pineaux des Charentes – a choice unrivalled elsewhere in France and abroad.